Waterproof and breathable for strong incontinence. 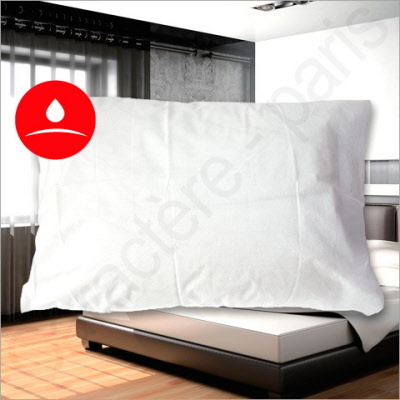 NUIDEAL pillowcase is made of a new material that makes it waterproof and protects the sleep of the patient. Composition layers provide a barrier against moisture stains and / or other oil and water spots while combining unparalleled comfort by eliminating the noise of the plastic film that is now part of the nonwoven fabric. These pillowcases are very economical and can be changed without washing. Their lifespan is equal to a washable pillowcase. You need to change the disposable pillowcases when dirty. Average life: Several weeks of use. On the other hand they are not washable. This ensures perfect hygiene. 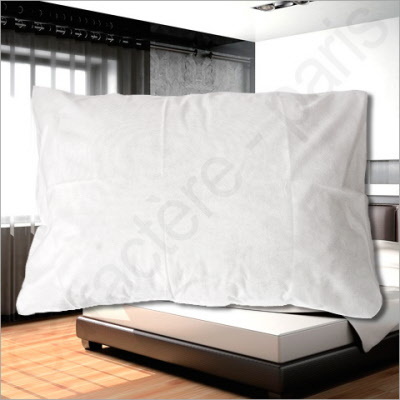 15 cm flap closure that allows real professional and hassle-free opening of the pillowcase. These pillowcases are ideal for heavy use in case of enuresis and outstanding issues (constantly bedridden person). For normal use, you should use the pillowcase Nuit Tranquille which is less expensive and offers more than enough protection against the wet spots.